Happy Wheels is a Racing game on GaHe.Com. You can play Happy Wheels in your browser for free. Happy Wheels is an adventure game where the player controls characters with their goal to reach to the final point. There are obstacles on the way so avoid crashing. The game allows the players to create custom scenarios and play or choose among the 3 million pre existing levels made by different users. The game has very interesting characters which make the game interesting to play. 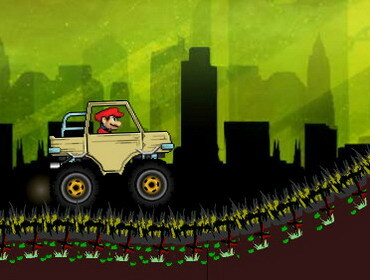 There are lots of interesting levels for the users to play as well. In the game, choose a character, select a level and move carefully in the game as there are lots of hurdles and obstacles which would break the body parts. Enjoy playing Happy Wheels !